It all started in 2004 with the introduction of the Mercedes-Benz CLS four-door coupe. With a sloping roof and sleek fastback lines, the CLS was a trailblazing design that won the hearts of people that preferred style over practicality. That being said, the CLS wasn’t exactly the most rational creation in the 21st century (that award went to the crossover). 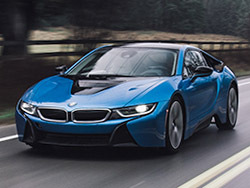 What it gained in coupe-like looks, it lost in headroom, visibility, and trunk space. But having two extra doors did have its merits, even if rear seat headroom was heavily compromised. Yet, if you look at the sales of these four-door coupes in recent years, you’d notice an exponential curve angled up towards the heavens. It seems that many drivers aren’t looking for practical vehicles but for emotional vehicles instead, and in this case, a four-wheeled chariot of style, stance, and presence. Headroom? Who cares unless you have overactive pituitary glands? Trunk space? How often do you really go on road trips or have to drive your cousins to the airport? Excitement? Now that’s what consumers want. And soon after the CLS was born and proved that there was a market, other manufacturers started to follow suit: Audi A7, Aston Martin Rapide, Porsche Panamera, and the BMW 6-series Gran Coupe (GC). We’re here to test the latter. So what exactly is a gran coupe? Surely, you meant grand coupe. Well, the 6-series is a two-door coupe by nature, but BMW has stretched it out with a longer wheelbase and tacked on two extra doors. The design came into fruition back in 2012, but I’d bet ten bucks that you could not tell the difference between that and the 2016 model in our photographs above. A keen eye would notice a mildly redesigned front grill (and by mild I mean the number of vertical bars has been reduced from ten to nine), updated headlights and side mirrors, and LED headlights that now come standard. But hey, the less you do the better. 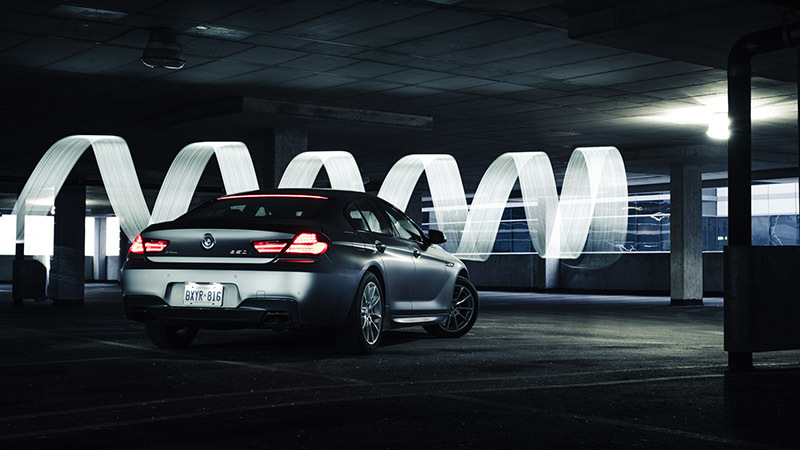 The 650i Gran Coupe has been stunning since birth. The visual impact it has on fellow motorists and pedestrians simply cannot be understated – it’s a real head turner. Shame about those 18-inch winter tires equipped on our tester though. The 650i GC was slated to receive 20s but the dealer somehow mixed up the order. It’s like showing up to semi-formal in a classy tux and wearing Converse sneakers. Nevertheless, the unique paint job surely makes up for it. 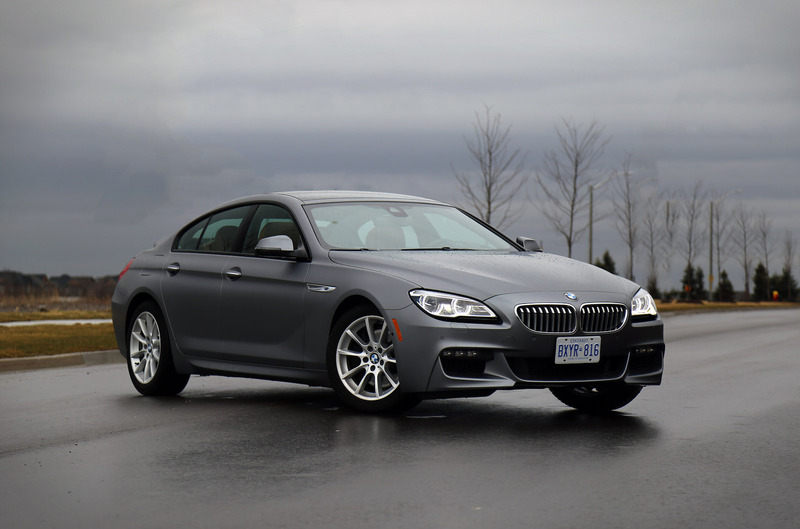 Wrapped in a beautiful Frozen Grey matte paint, the 650i GC lives up to its soaring price tag. We rarely get the chance to test and photograph vehicles in matte, and we’ve recently learned that sunshine on matte doesn’t do our lenses any favours. Surprisingly, the GC looks better when the skies are grey and cloudy, as the sun creates too much shadow and doesn’t flush out the expensive finish. In addition, photographs make the 650i GC appear lower and shorter than reality due to its coupe-like profile. But in person, you’d be surprised that it is actually quite a massive car. 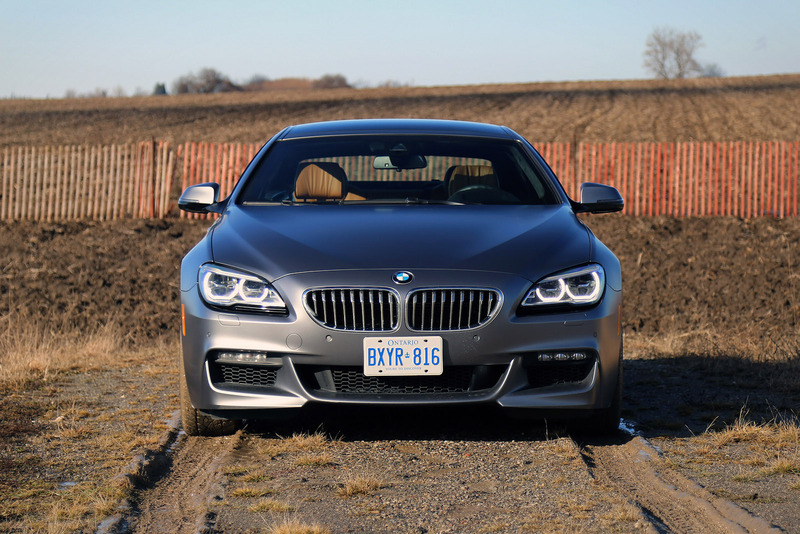 Even though it shares a platform with the 5-series, the 6-series is almost the same length as a 7-series. The interior tells a different story. Think of the 650i GC as a full-size sedan minus practicality, ease of ingress and egress, headroom, and trunk space. The two seats in the back are a joke for anyone over six-feet tall, and no one can really sit in the middle either. That space has been taken up by an extended center console running back with HVAC dials and heated seat buttons. Space for your head to roam free is quite demoralizing, reminding me of the GC’s coupe origins. Standing six-feet tall, I have trouble sitting up straight in the rear seats without brushing up with some static on the headliner. If I slouch a little and sit in a crooked posture, I find comfort, but combined with narrow windows, tight legroom, and a tilt-only sunroof, I can’t help but feel cramped. Little children on the other hand will have zero complaints. But it’s not just the back seats that suffer from the coupe compromise. The front seats don’t give much headroom either. If you are my height or taller, don’t be surprised if you have to lower your seat to the floor to fit under the roof. On the bright side, the seats are incredibly lush, comfortable, and even come with a massage function. 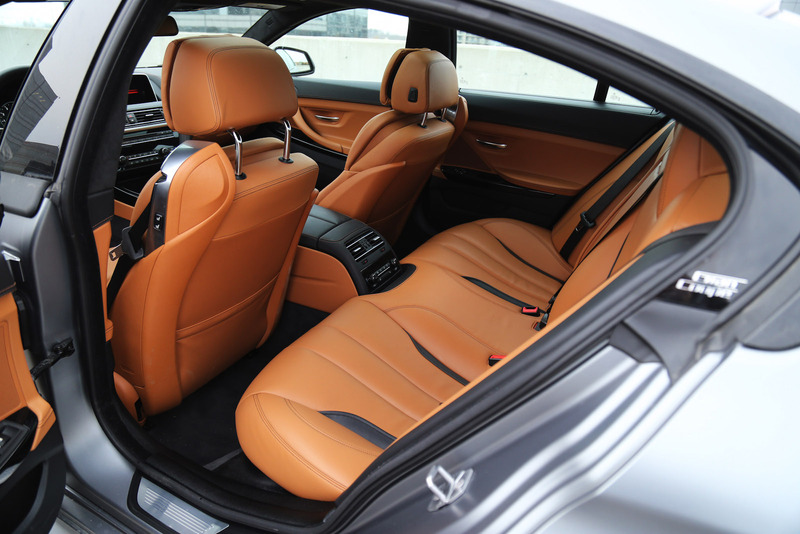 Fun fact: they are the same seats that you would find in the two-door coupe version of the 650i. Just look: even the seat belts are integrated and rear passengers can move the seat back and forth using two buttons on the side. If you can forgive these shortcomings (which most buyers will) the rest of the 650i GC’s interior is as sumptuous as you’d expect from a $100,000 Bimmer. The cabin setup may look identical to lower-end BMW models like the 3-series, but the bigger display unit, a more expansive and driver-centric center console, and richer materials bring out the “oohs” and “ahhs” when you palpate each surface with your fingers. You had no idea how much you wanted a leather-wrapped dashboard before the 650i. And at the same time, those airplane-style headrests and adjustable dual-panel backrests are creature comforts that you never thought you needed in life. All three engine variants have been carried over for 2016. 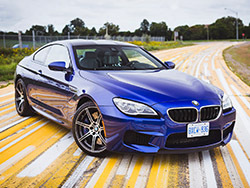 The base model 640i uses the infamous 3.0L straight-six, the 650i receives a 4.4-litre twin-turbocharged V8, and the range-topping M6 gets a highly tuned V8 pushing out 560 horsepower. 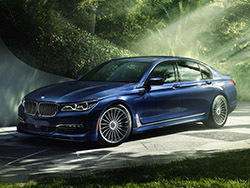 Every model except the M6 is mated to a ZF-sourced eight-speed automatic transmission. 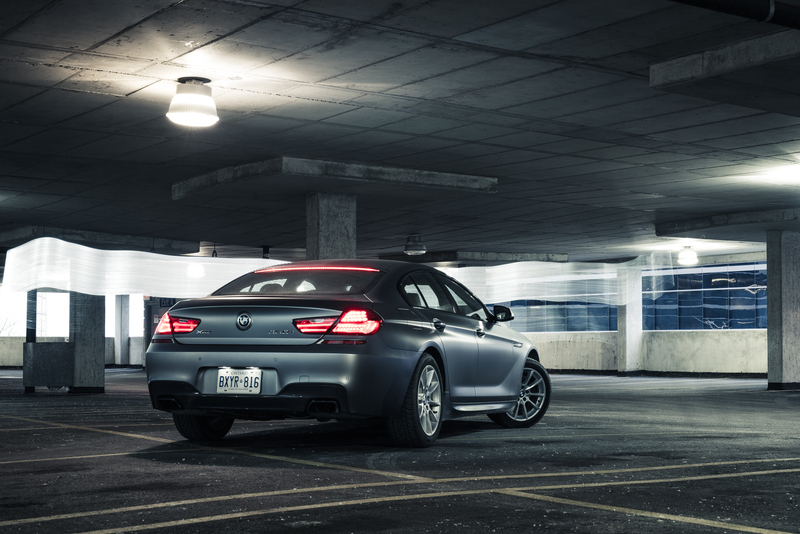 Our 650i was packed with the force-fed V8 that produces 445 hp and 480 lb-ft and supplies it to all four wheels. 0-100 km/h is dispatched in 4.5 seconds, which is quite impressive for this matted brick. For reference, the M6 is only marginally faster by 0.3 seconds. Hammer the throttle and after a brief pause, you’ll understand why we call it a stealth rocket. It is just so easy to ride the tidal wave of torque into speeds that require a tow, impound lot fee, and a license suspension. 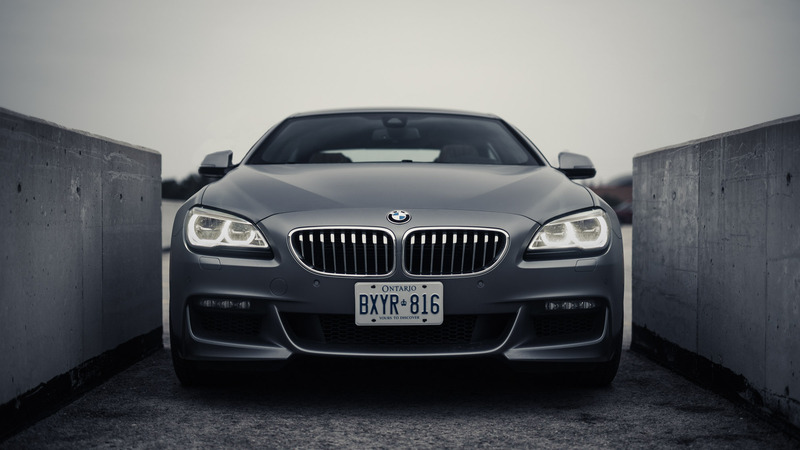 This 650i is bullet-quick, making you wonder why you’d ever need an M6 in the first place. Despite bearing the BMW name, the 650i GC’s electric powered steering feels numb and artificial. The lack of feedback through the steering wheel is a common feature in large four-door sedans such as this, offering an easy, soft and tame ride around town. 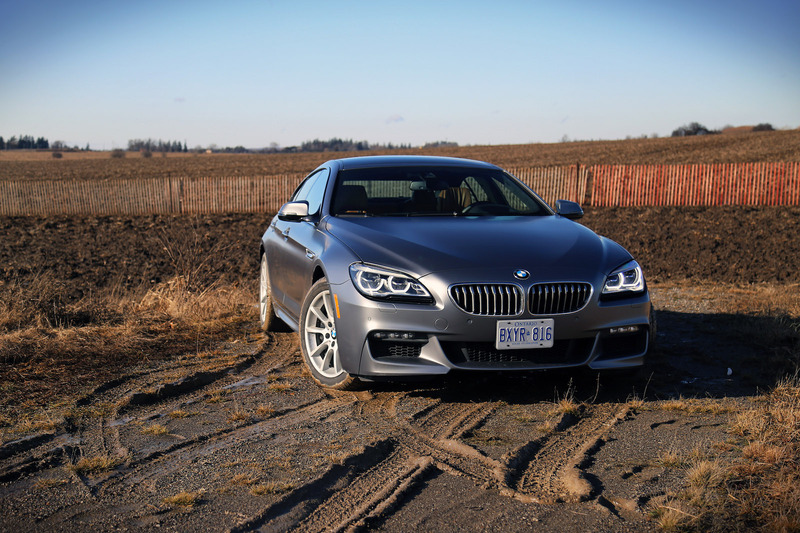 The 650i GC drives less like a BMW, more like a Benz. Weighing in at 2,100 kg, it’s easy to see why the 650i GC wasn’t built for corner carving, but rather for the highways. 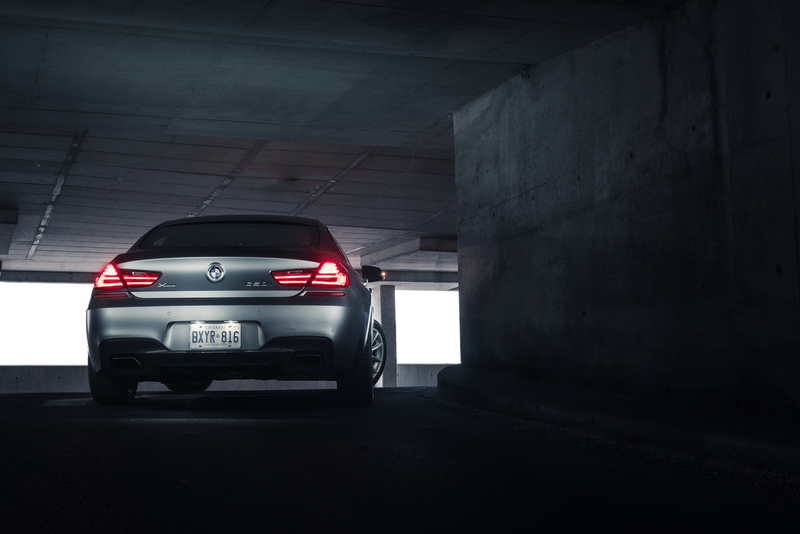 Straight-line acceleration is where this Bimmer comes alive. At any rate, the two modes you want to be in are Sport and Sport+. This will open up the exhaust valves for a throatier soundtrack. Honestly, the vocal cords of the 650i are quite underwhelming despite being labeled as a sports exhaust. It will fart on overrun and deliver a deep scruffy growl on throttle input (almost muscle-car like), but it won’t raise the hairs off your arm. And it shouldn’t. This is a grand tourer by DNA, and it was meant to get you from A to B in the quickest, most comfortable, and most serene way possible. This leads us to the biggest drawback of the 650i – fuel economy. 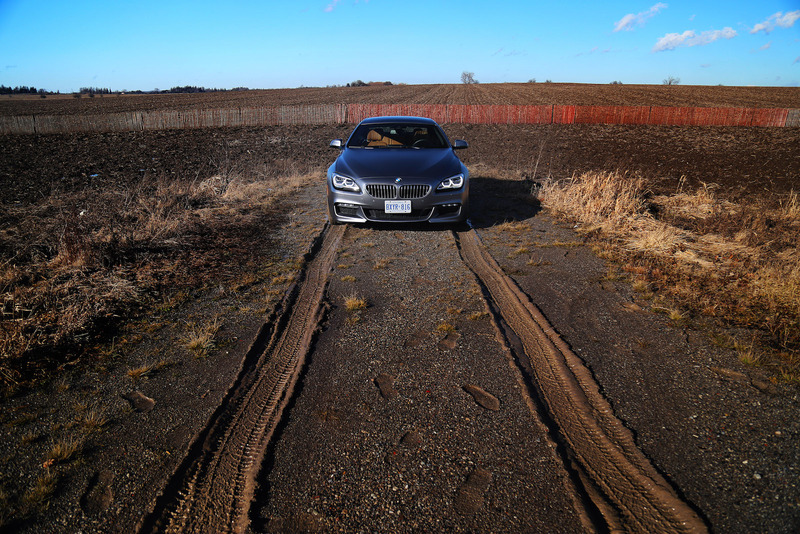 Over the week with the 650i GC, we averaged an eye-watering 16.2 L/100km and spent $130 of 91-octane fuel for 500 km worth of driving. That’s not cheap, even with the dipping gas prices. This provides reasonable justification on why I would recommend getting the less potent but more frugal 640i instead, which offers just as much style at a cheaper cost. 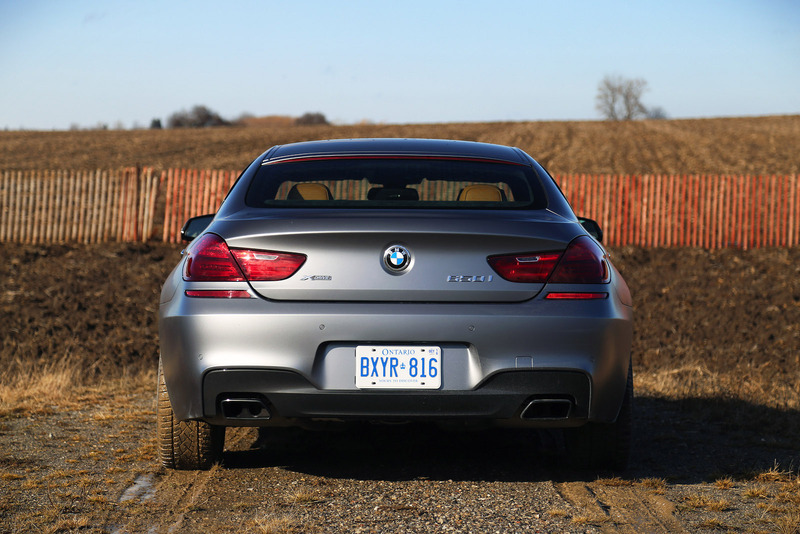 The BMW 650i Gran Coupe xDrive ($101,000) is quite an oddball on the market. Positioned with a loftier price tag over the equivalent V8-powered Mercedes-Benz CLS550 ($88,400) and Audi S7 ($95,400), it’s bound to be a rare sight on the road due to these relatively cheaper alternatives. Does the BMW truly deserve a premium over its German rivals? It is arguable, but certainly not by $10,000. What gives? There’s also another rival that the 6-series competes against, and this one comes in-house – the 5-series. Not only does it offer more headroom, more cargo space, better visibility, but it is cheaper too. But then again, you’ve got to remember that the type of people buying the 6-series Gran Coupe aren’t looking for the most practical or the most pragmatic vehicle on the lot. They’re the type of people who want to stand out, not garishly, but stylishly. They want a car that will inspire emotion, turn heads, and offer a certain level of exclusivity. 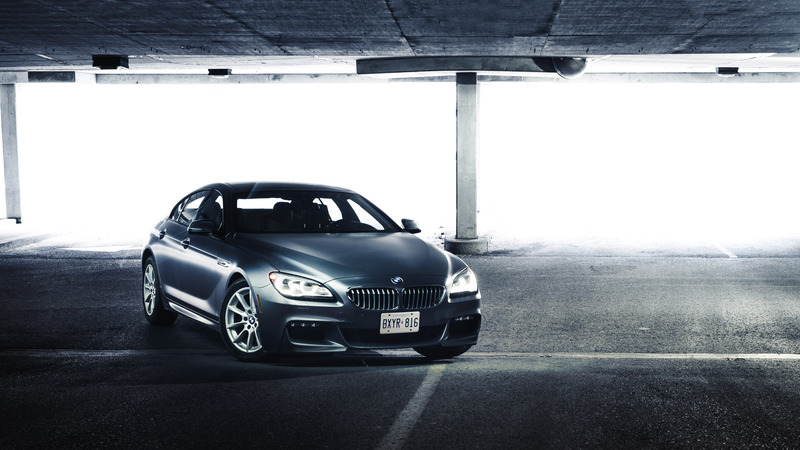 That's where the BMW 6-series hits the home run.